For more information and other licensing options, see Find the right licensing plan for your institution. 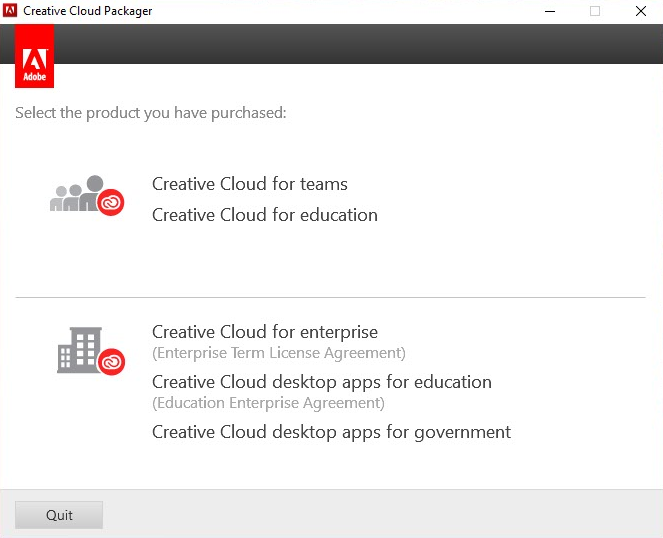 Creative Cloud for education device licenses provide the ability to license software to a specific machine instead of a named user or with a serial number. Users never have to sign in or enter a serial number to use the software. Licenses are tied to machine deployment pools, which are created automatically when you order products. Creative Cloud for education customers must place a VIP order with an Adobe Authorized Education Reseller for device licenses. 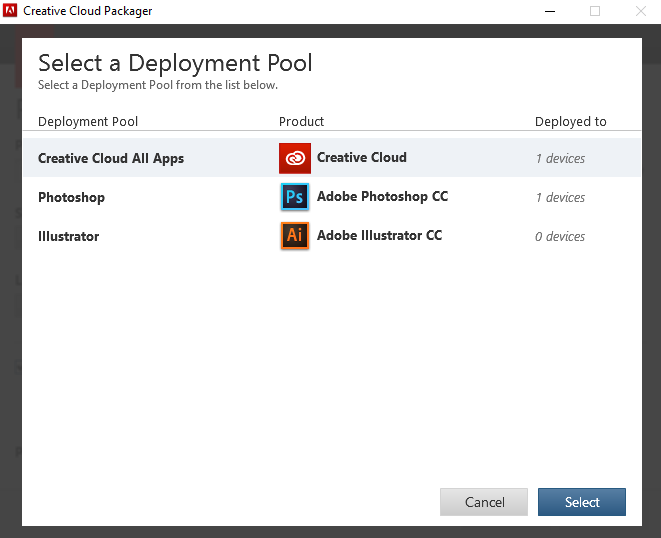 Adobe then creates a deployment pool for the products ordered. For example, if you purchase 100 Creative Cloud Complete licenses and 50 Photoshop licenses, two deployment pools are created. Device licenses are an online offering. After installation, the package will attempt to activate online. If activation is not possible at deployment time either due to no Internet connectivity or proxy configuration, the packaged apps will continue to run. Apps attempt silent activation for seven days before they cease to function. After initial activation, the computers need to connect to Adobe servers once every 99 days. For information about the ports and sites accessed, see Port information. 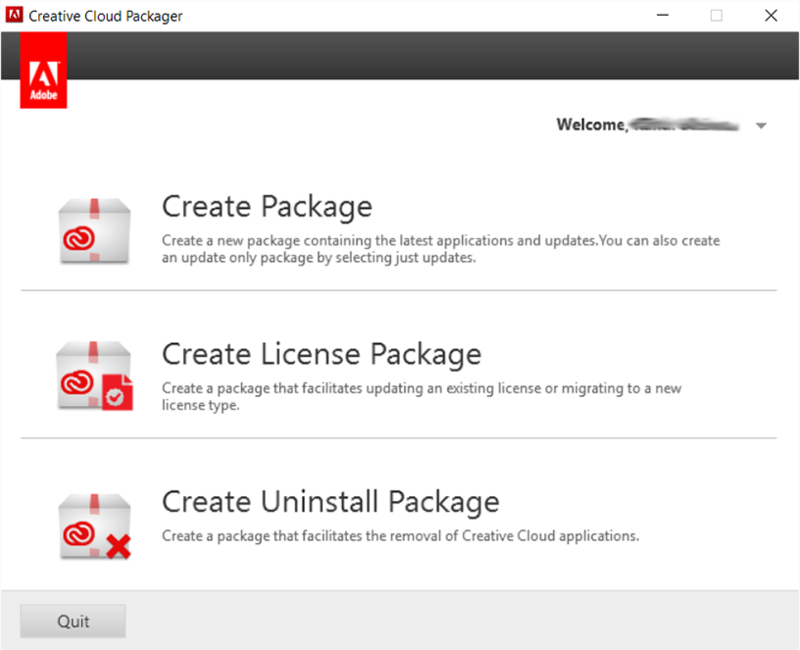 Use Creative Cloud Packager to create licensed packages to deploy apps. 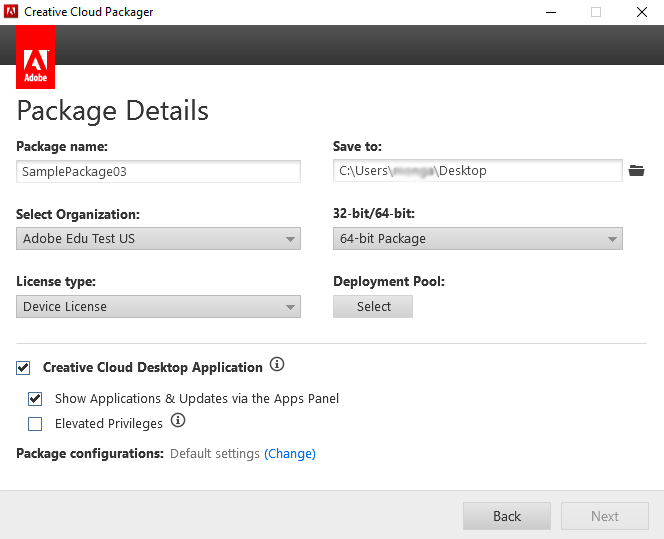 Sign in to the Admin Console and download Creative Cloud Packager from the Deployment Tools section. Start Creative Cloud Packager and choose Creative Cloud for education, and then sign in with the Adobe ID associated with the VIP membership. Click Create Package to create a new package. This option is only available if you are using a Windows OS. Select Device License. This option creates a package with a valid license. Use this workflow to deploy a product or group of products containing updates to client machines in a licensed state. No further validation is required on the client machine. The Creative Cloud Desktop application requires a sign in. As such, it is recommended that customers using Device Licensing do not enable the Creative Cloud Desktop Application during package creation. Click Select to open the Select a Deployment Pool screen. Click a Deployment Pool and click Select. A deployment pool is simply each individual product ordered grouped by quantity. For example, if you purchase 100 Creative Cloud Complete licenses and 50 Photoshop licenses, one deployment pool is created for Creative Cloud Complete and one for Photoshop. 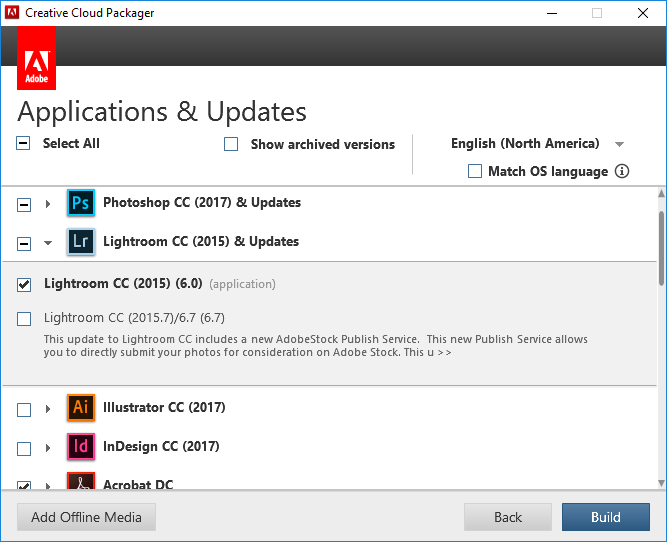 The Deployed to field in Creative Cloud Packager will display the number of licenses deployed. In the Package Details screen, click Next. The Applications and Updates screen displays the list of applications associated with the Deployment pool. Select the apps and updates, and click Build. The summary screen displays when package is built. For more information, see Creating packages. After you've created the package, you'll need to deploy the package. For information, see Deploy packages. Caution: Conventional uninstall does not release the license back to the deployment pool. If you use the conventional uninstall process to uninstall an individual Creative Cloud app, such as Photoshop or Illustrator, from a client machine, it does not release the uninstalled license back to the deployment pool. The number of available licenses in the deployment pool does not increase. Mac OS: Uninstall using the uninstaller package (<packagename>_Uninstall.pkg) created alongside the installation package (in the same folder). Create a license package for device licenses. For more information, see Create license pacakge. End users must sign out from Creative Cloud to unlicense existing software. Users can sign out from Creative Cloud app or any other installed product. Creative Cloud app: Choose > Preferences > Account, and then click Sign out from Creative Cloud. Installed product: Choose Help > Sign out. Deploy the license package to the end-user machines, and execute the AdobeSerialization executable file with administrator privileges. This file is created when you create a license package. Create a License file for device licenses. For more information, see Create license file. To unlicense the currently installed applications, run the RemoveVolumeSerial executable file with admin privileges, on the end-user machine. This file is created when you create a license package. Execute the AdobeSerialization executable file, created in step 1, with administrator privileges. Users can then launch and use Adobe apps without signing in.